Check out the following selection of kickass trailers for the game! You can start with the E3 2017 Reveal Trailer. When the kids are at a loss as to what game to play next, Eric Cartman insists they play Cowboys and Indians, and instructs "The New Kid" to join them due to his skill with his phone, since the Indians always win. Sheriff Cartman, Gunslinger Kyle, Outlaw Tweek, and the New Kid lead the cowboys up against Stan of Many Moons, who leads the Indians, chasing him throughout town as he gradually calls upon the assistance of not only Native Americans, including his parents, but soon other factions such as Pirates. After the player manages to locate Stan of Many Moons and defeat him, Cartman tasks the player to use their "Adventure" cards from the previous levels to defeat the dangerous Cyborg Kenny and new "Sci-Fi" cards, many of which are unlocked further along as he continues playing. Every few levels, Don King Butters stops the New Kid to instead play some "PVP" battles against other kids to "practice" their skills. After these stages are completed, Kyle worries that it may be wrong to exploit the New Kid's ability to destroy phones in the game, and after a fight with Cartman, he splits off to lead his own faction as "the Master Ninjew", with a wide variety of religious-themed "Mystic" cards at his disposal. The New Kid, with Buddha Cartman, learns how to balance his deck themes as they defeat him. When all seems settled, however, Butters reveals that he has been preparing the New Kid to launch a rebellion against Cartman's forces as Paladin Butters, taking the New Kid with him and introducing new "fantasy"-themed cards. In story mode, the player must clear a scrolling stage of enemies across a street, usually fighting weak enemies such as various kids dressed as Indians, before eventually encountering a boss, who will later be available as a playable card, who can also summon their own cards for defense. Several bosses will usually be encountered in story before the story boss for each them will be encountered, often two or three times. In PVP mode, each player is fixed to one side of the screen, with a clear boundary set between them, and both are tasked with causing the destruction of the other player's phone by summoning their cards. If no phone is destroyed soon enough, a time limit will eventually decide a winner based on who has sustained the least damage. Many of these battles must be completed to progress in story mode. As the game's story suggests each kid is dressing up for their respective role, multiple variations of the same character cannot be summoned at the same time by one or both players, such as Poseidon Stan and Stan of Many Moons, as that character cannot be in two places at once... however, some characters' special abilities may offer multiples to exist, most notably Gizmo Ike. All decks are limited to twelve cards from two of the four main themes, with neutral cards not counting towards this limit. The following character will appear in the game according to trailers and screenshots. Many of the boys' canonical alter-egos from the show appear in the game, though names may vary. Every level of the game has new looks for familiar characters, with a wide array of abilities and kickass card art! The following characters may be joining the game yet, but they're on their way. These characters appear in the background of the menus, gameplay or card art, but aren't playable as part of the game. While a variety of locations appear in the background, all gameplay scenes take place in the streets of the larger town. 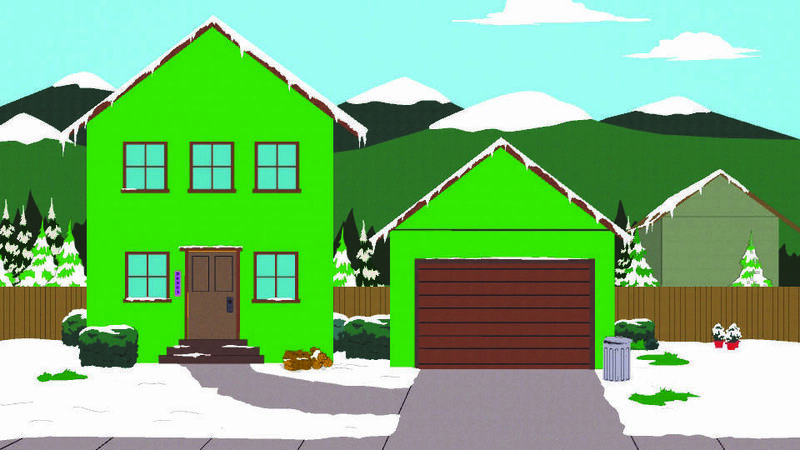 The Cartman Residence and Stotch Residence contain storefront menus, while the New Kid's House is used to customize their deck, and the South Park Genetic Engineering Ranch houses advanced character customization. For those lucky few living in Nordic countries such as Sweden and Denmark, the game was made available early in a "soft launch" state, as only a small amount of players could be handled on the servers at the time... but some unspecified time in the future, they promised to roll it out in more and more countries. The game finally hit app stores on November 9th, 2017, during the release of Season Twenty-One. 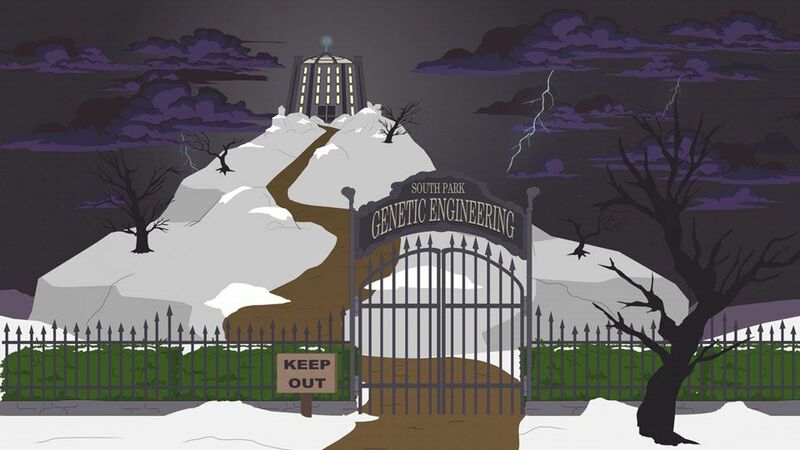 Users who pre-registered in advance were given access to a special "Manbearpig"-themed outfit. 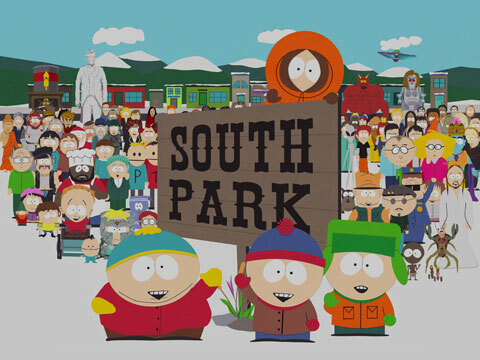 The game includes a disclaimer, similar to that before every South Park episode, suggesting nobody play the game, a mild reference to "Freemium Isn't Free" - the existence of a free-to-play South Park game in the wake of that episode wasn't missed in E3 press coverage when it was announced. 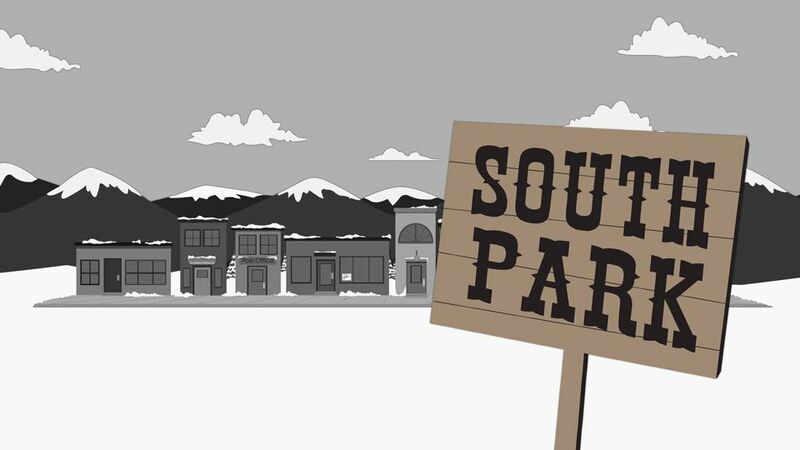 Trey Parker, Matt Stone, Adrien Beard, April Stewart, Mona Marshall and Jessica Makinson provide new voiceovers for their characters in the game. Randy's "Sixth Element" costume is a reference to the science fiction film The Fifth Element, which featured a female character in a similar costume. 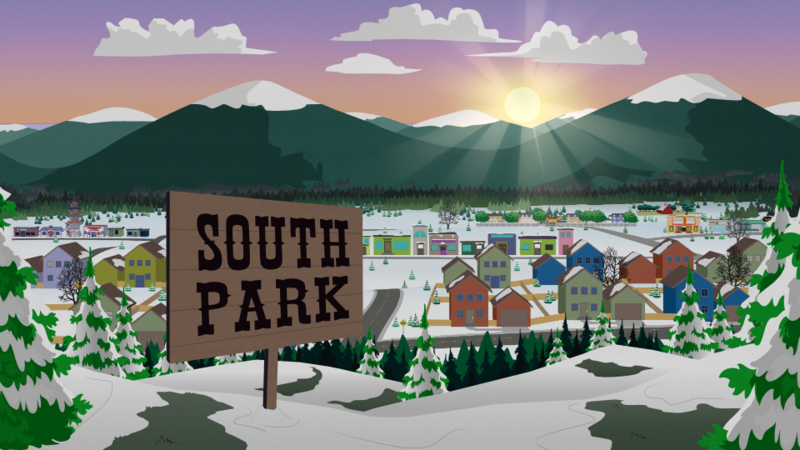 Despite being developed by Ubisoft, who published both South Park role-playing video games, the ingame map sports some interesting differences from the one introduced in those games. 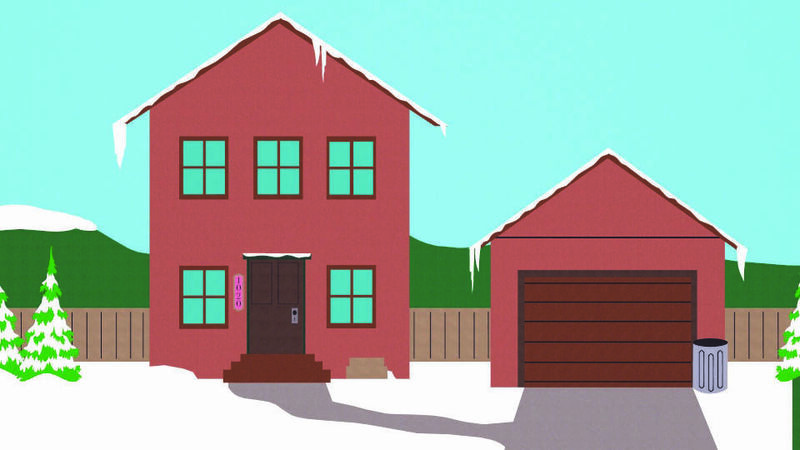 The card and graphics for "Kenny's Sister" are all based on Sally Bands, a kindergartener unrelated to Kenny McCormick or his family (as far as we know) instead of his actual sister, Karen McCormick. The E3 2017 trailer depicts her as "Bandito Sally" instead, using the correct name... but the version released in the soft launch still said "Kenny's Sister". The full release corrected this.